It seems like everything is getting a high-tech upgrade these days, even mundane objects like handcuffs. 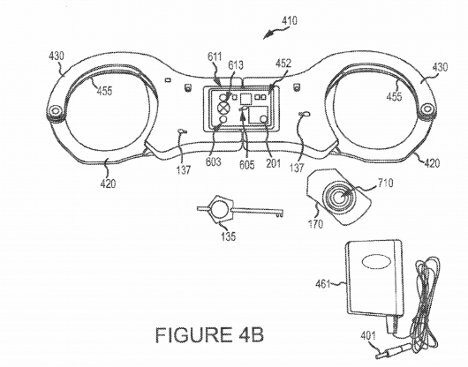 According to a patent filed by Scottsdale Inventions, LLC of Paradise Valley, Arizona, a new restraint system could administer incapacitating jolts of electricity to prisoners. It works kind of like a Taser, which delivers shocks to a person’s central nervous system to temporarily subdue them with no long-lasting effects. The shocks could be activated by guards carrying remote controls, or by certain pre-set conditions occurring. These conditions could be anything from proximity to a certain object or area to violent movements. An included accelerometer, microphone, camera, biometric sensor and a whole slew of other sensors would make it possible for prison guards to remotely monitor the location and even the behavior of prisoners. 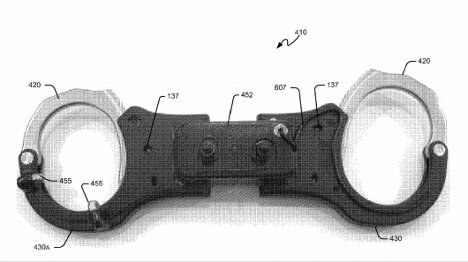 The cuffs could administer a warning for breaking the rules – maybe via beeps, flashing lights or a very weak electric shock – before breaking out the heavy-duty consequences. Perhaps the most alarming part of the design is its ability to release gases or dyes, or even inject the prisoner with a sedative drug in the case of extreme behavior.